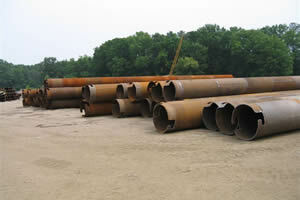 We manufacture large diameter steel pipe for caissons and steel casing pipe for road boring We have manufacturing capabilities in both Glen Allen, VA and Dewey, OK. 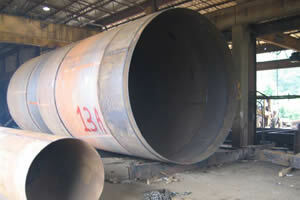 Pipe is produced in 24" through 150", from .188" thickness to over 1" thick. 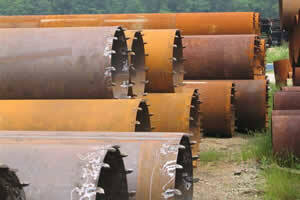 Pipe rolled to your requested length, coated and lined if required, banded, slotted, capped and beveled ends as requested. We can deliver from our strategically located facilities, competitively, anywhere in the U.S. The success of your project is in our best interest.